One drawer and tray with melamine polish finishied. 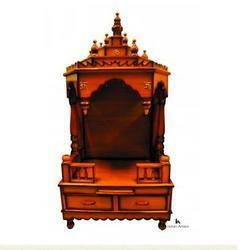 We introduce our business as a notable entity of qualitative array of Decorative Teak Wood Temple. 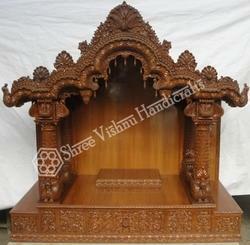 Very beautiful teak wood temple for gud health, wealth, and worship. Hand carved painted pooja mantap. Can be custom made in any size, design and finish.